My bridge, or rather two bridges, provide a link from one time to the next, in our historical minds, a literal historic time machine. Bridge One: Was built long ago, as a replacement for Davis Ferry over the Wabash River in Tippecanoe County, Indiana. The Ferry was used by Indians and Pioneers for years, sometimes providing hazardous crossings during springtime floods. The bridge made it less risky trying to get home. 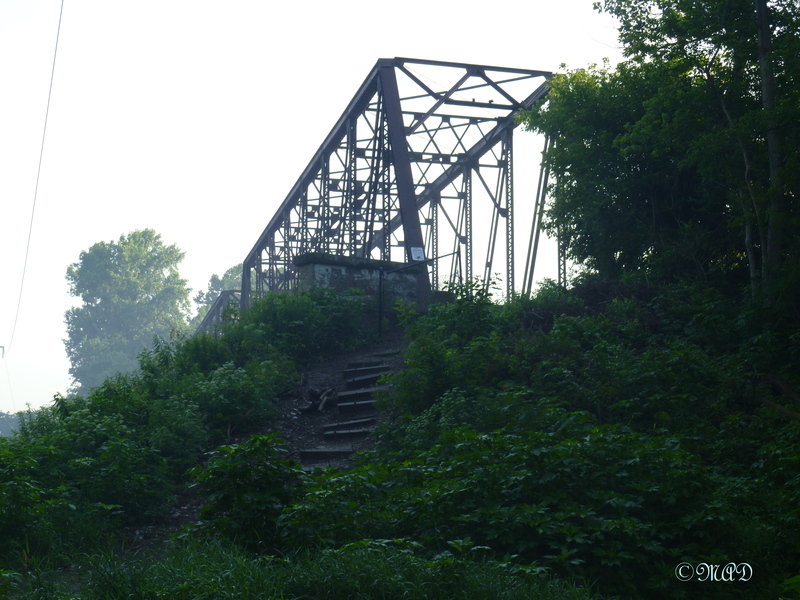 It is now a walking bridge, a pathway to the Wabash Heritage Trail and a pleasant one at that. Bridge Two: See a modern bridge just a few feet to the East, autos zipping along on their daily quests, in the sunrise, most not realizing the historic importance here. A beautiful peaceful morning view, not to be witnessed in quite this way while standing on Bridge 2. 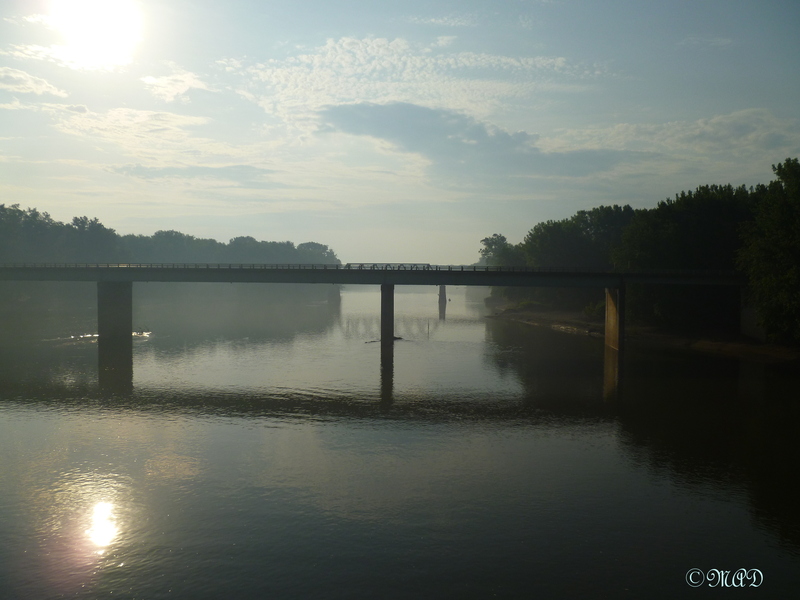 This entry was posted in Indiana History, Indiana Travel and tagged bridge, crossing the river, History, Jake's Sunday Post: Bridge, time machine. Bookmark the permalink. Nice photos – bridges are so diverse and can be so artful! Thanks, too, for visiting my blog.